With its stretches of white sand beaches and drops of islands and islets, Thailand can be a beach lover’s paradise. Once you step out of Bangkok and take that journey south, there is a long line of beaches awaiting your visit. 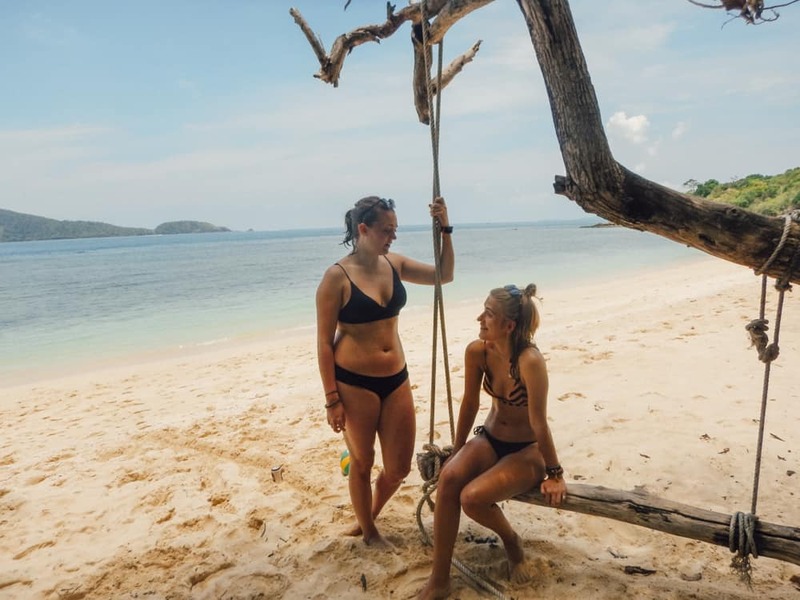 Whether you are looking for the beach party vibe or isolated, tranquil spots on the coast, our itinerary for two weeks in Thailand will give you the best recipe for an awesome beach escape. 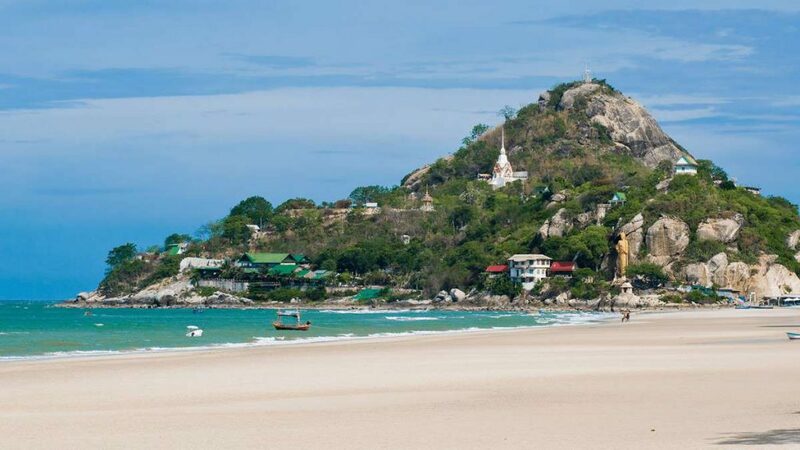 Not far from Bangkok is the locals’ summer destination, Hua Hin Beach. Filled with establishments that would provide you with the best grub, a roaring nightlife, and internationally acclaimed spas that will give you the pampering that you need after a long journey, Hua Hin is paradise for travellers looking for a good mix between city life and beach life. 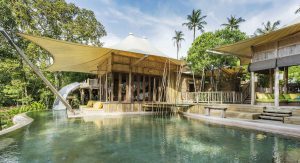 Close to a to the Khao Sam Roi Yot National Park, Thailand’s first coastal national park, finding a break from the crowded beach area is within reach. But, if you are looking for something more isolated, then travel 20 miles south of Hua Hin to Pranburi, which is less developed and quieter than Hua Hin. 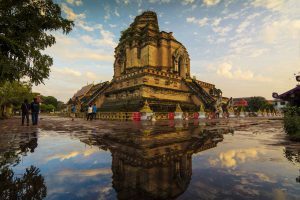 You can get to Hua Hin or Pranburi by taking a bus from Bangkok’s Southern Bus Terminal or a train from Hua Lumphong Station. A bus and a ferry ride away from Hua Hin is the island of Koh Phangan. Known for its crazy Full Moon Parties, there is a tranquil and naturally beautiful side to Koh Phangan. Beyond the party dates, Sunrise Beach and its tamer counterpart, Sunset Beach, provides a great location for sunbathing and relaxation. 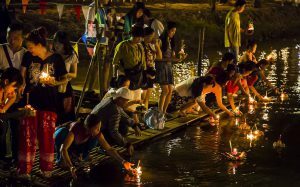 Just pick your dates right and head there between Full Moon Party dates. If you need some place quieter, then head to the north and enjoy the stunning landscapes of Thong Nai Pan and Thong Nai Pan Noi, which provides the perfect fusion of golden bays, lush greenery, and quiet isolation. 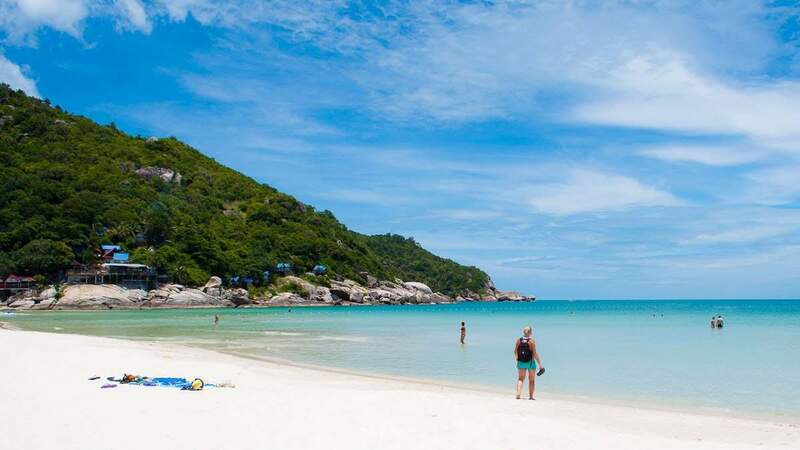 With scores of restaurants and bars lining the southern end of Lamai Beach and the quiet, nautral beauty of its northern end, Koh Samui has the perfect beach vibe for sunbathing and beach parties with its soft, white sand beaches. If you take a bit of a pause from your beach routine, you can explore Wat Khunaram, the fishing village south of Lamai Beach or pay a visit to the quirky Grandfather and Grandmother Rock. And, if you are looking for the sleepy side of the island then head to its northeast corner near Choeng Mon Bay. Just a ferry away from Koh Samui is the island of Koh Tao that still has the reputation of quiet diver’s island despite the fact that it has become a serious party scene with the pub crawls on Sairee Beach. During the day, however, it reverts to a serene location with fantastic views of the small islands in the horizon. 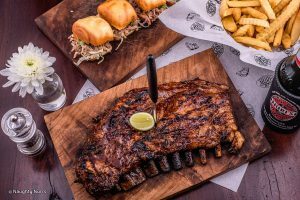 With its inexpensive accommodations and restaurants, one can definitely stay on this island for a long while on a budget. One ferry ride and bus ride away from Koh Tao are the beautiful landscapes of Krabi with its dramatic limestone formations and turquoise waters. Although a bit crowded, the landscapes of Ao Nang Beach still allures many travelers. It is also the best spot to arrange boat rides and tours to the islands that surround Krabi. From here, you can also head to Railay by longtail boat for some serious climbing that will give you a view of this incredible coast from above. Which beaches would you go if you had two weeks in Thailand? Share a few tips to your fellow travellers by commenting below.